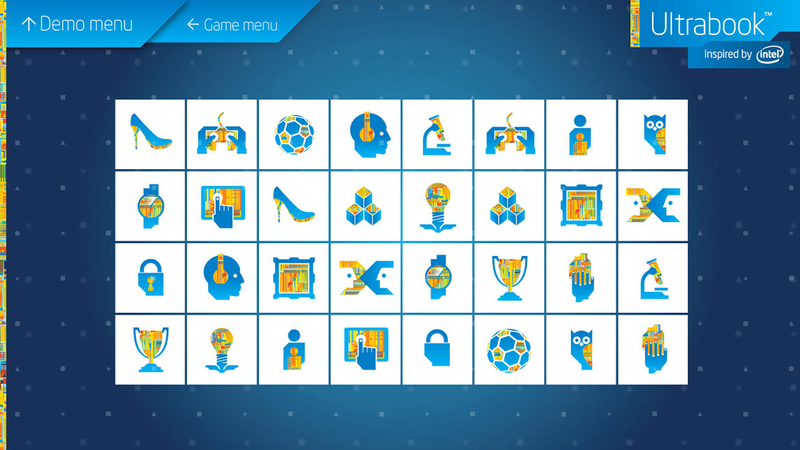 Driving engagement through innovative solutions to client challenges. 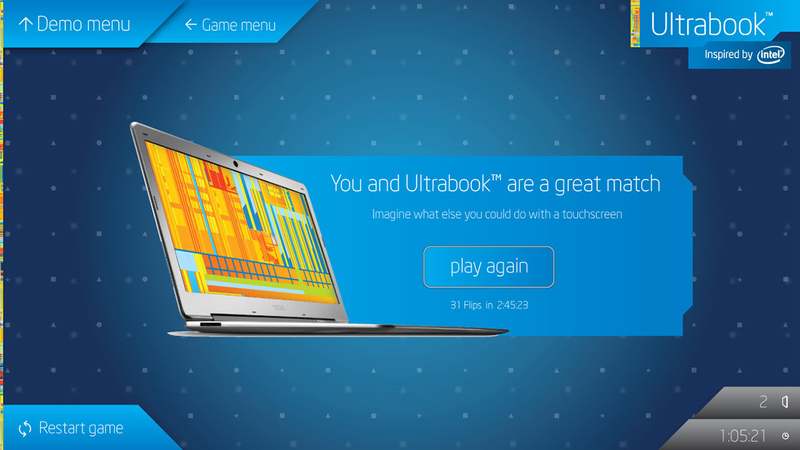 My response to promote Ultrabook in-store at Best Buy, was a series of touch-enabled games. 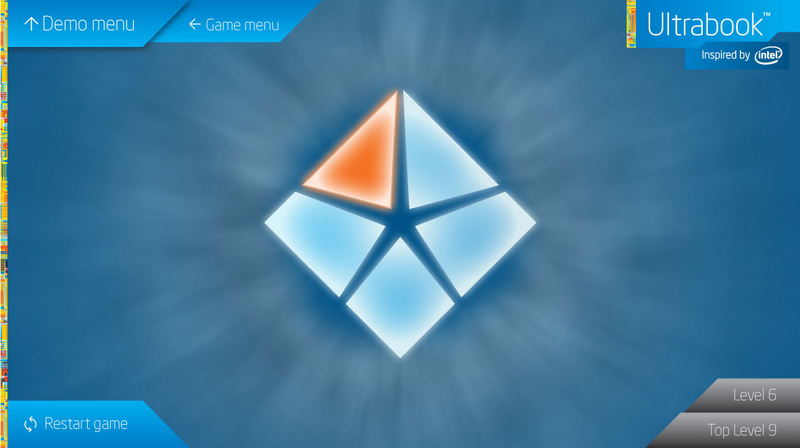 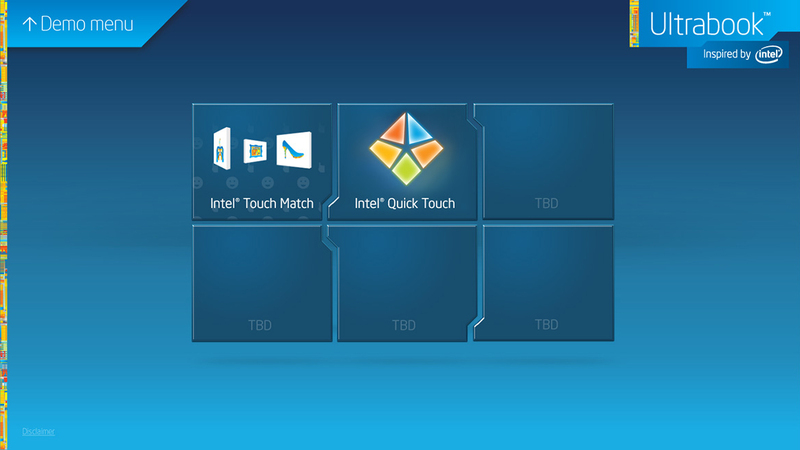 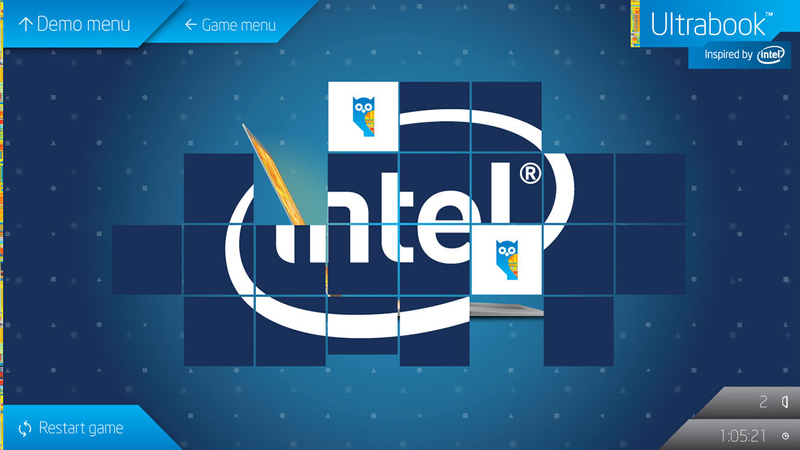 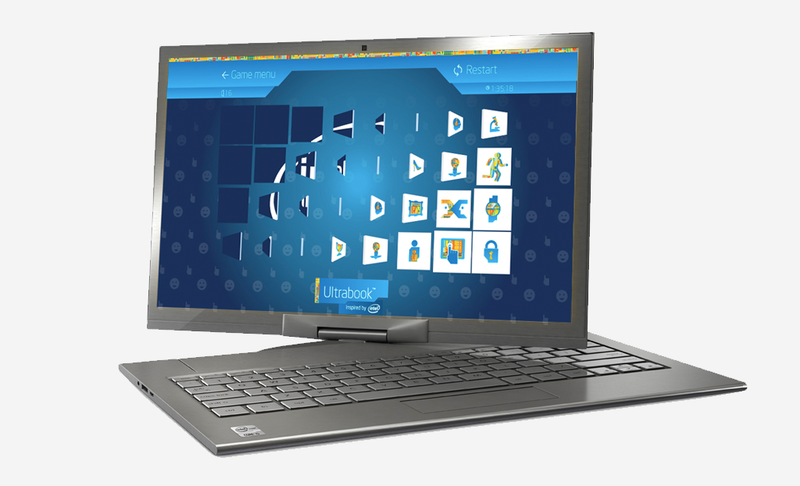 Touch Match – a game of matching pairs, the pairs feature Intel icons. 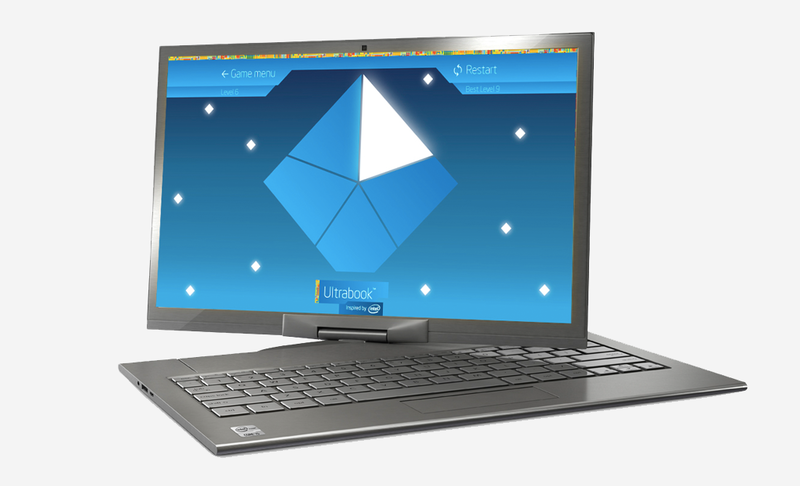 When all the pairs are matched the Ultrabook is revealed. 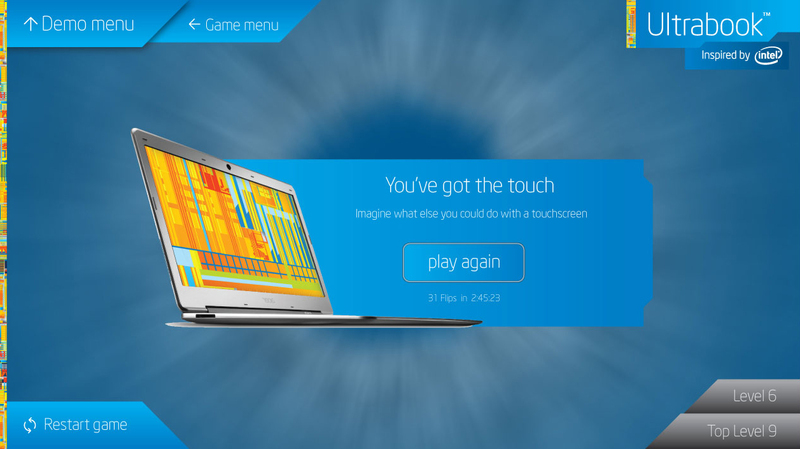 Touch Match – a game where you are shown a pattern and asked to repeat it. 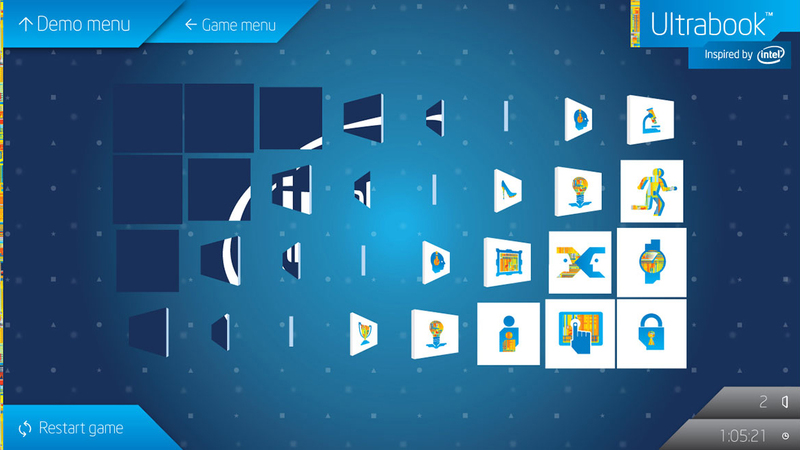 Bonus points – the game demo used the Intel iconic audio. 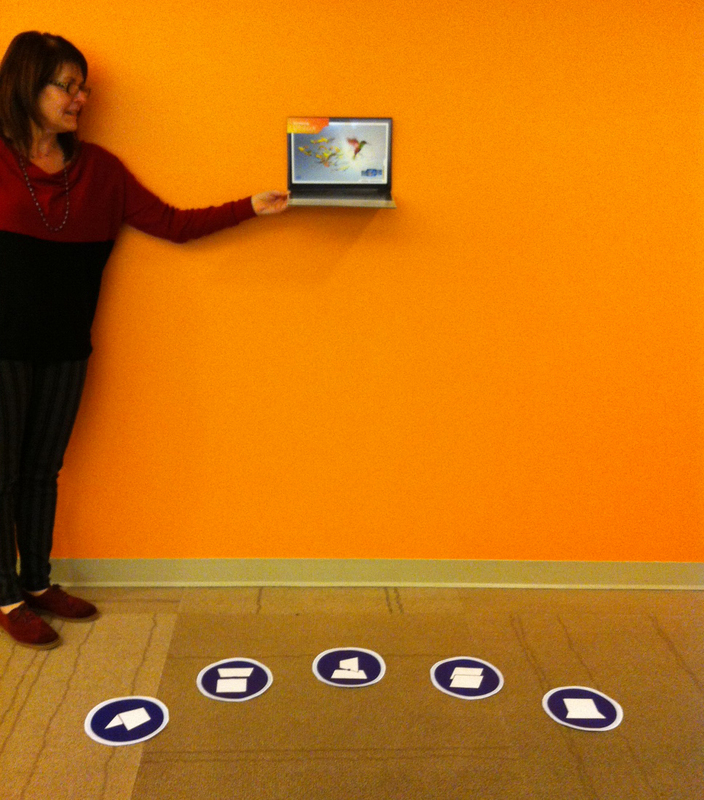 Early designs to show the direction to the client and internal team. 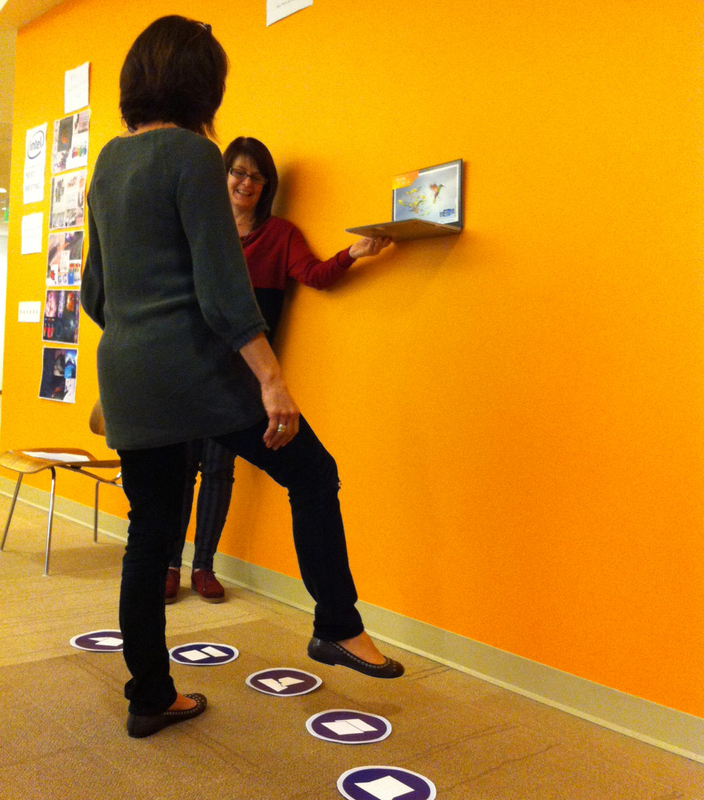 Early concept testing – could it be a “dance-dance revolution” style game. 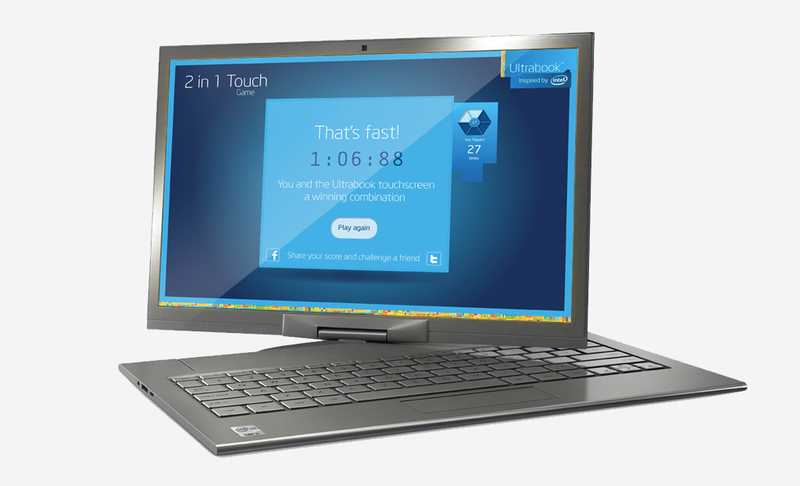 After a quick test (as shown) I decided that it was too invasive for the stores and would be much hard to engage users, and offered limited touch-screen engagement.